Discover a hand-picked selection of cabin resorts, rentals, and getaways in North Yellowstone, MT. A terrific selection of beautiful, well-maintained homes, condos & cabins in the Red Lodge region for group sizes from 2-23. Book 6 nights, get the 7th at NO COST. Beautifully appointed rooms only $95-$150/night. 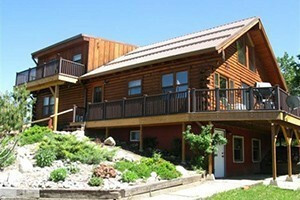 DirecTV, queen beds, kitchenettes, gas heat, BBQ grills, pets welcome..all along the Beartooth Hwy. RV spaces too. An inspiring collection of one-of-a-kind cabins in outdoor destinations. Clean, well-maintained cabins feature mini-fridge, WiFi, coffee, air-cond, CABLE-TV, upgraded bedding & baths, across from the Yellowstone River. Pets Welcome. 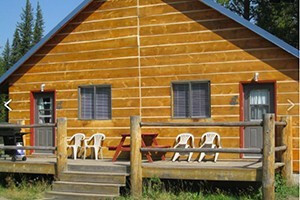 Cabins & Home Rentals in Silver Gate, MT just minutes from Lamar Valley of Yellowstone. An ideal home-base for photographers, anglers, hikers, bikers and wildlife lovers. Take your pick of 6 luxurious cabins located in the wilderness just west of Red Lodge. Fully equipped kitchens, comfy beds and great access for xc skiing. Two beautifully furnished cabins. Best location for exploring wildlife - a mile from Yellowstone. Full kitchen & bath, Wi-Fi, free phone. Loft for the kids. Affordable rates. Enjoy beautiful cabins and large family lodge on our 12-acre property just outside Red Lodge. 1 & 2 bedroom log cabins with amazing views of the Teton Range. Yellowstone a brief drive north, Jackson to the south & Grand Teton Park entrance just minutes away.